Huawei Ascend G525 user guide manual – Huawei Acend G525 was released on November 2013 with multimedia features as the main and budget friendly. Huawei G525 is the latest series of Huawei G series with Dual SIM card slots available for users. Huawei Ascend G525 come with 4.5 inches LCD screen display touchscreen and 5 megapixel of main camera featuring autofocus. Huawei Ascend G525 equipped with specifications and key features such as: 134 x 66.8 x 9.9 mm (5.28 x 2.63 x 0.39 inches) in dimension with 155 g (5.47 oz) for weight, 4.5 inches IPS LCD capacitive touchscreen display 16 million colors 540 x 960 pixels screen display with multitouch support, microSD up to 32 GB, 4 GB internal storage, 1 GB of RAM, 5 megapixel rear facing camera with autofocus, 0.3 megapixel front facing camera, run Android 4.1 Jelly Bean operating system, powered by 1.2 GHz quad core Qualcomm MSM8225Q Snapdragon processor Adreno 203, Li-Ion 1700 mAH battery with up to 340 hours of stand-by time and up to 6 hours of talk time. 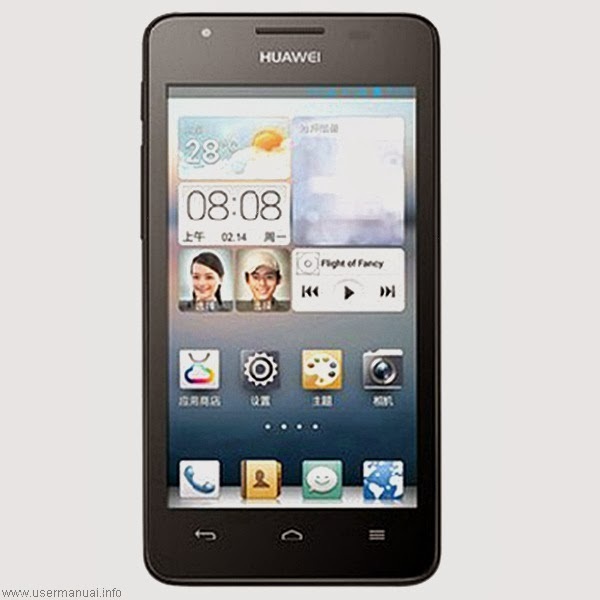 Huawei Ascend G525 user guide manual available to download in pdf file format with 21.78 MB size and contains of 96 pages. On the manual pdf guide users will find explanation about Huawei applications such as: backing up data to local storage and restoring data from local storage.